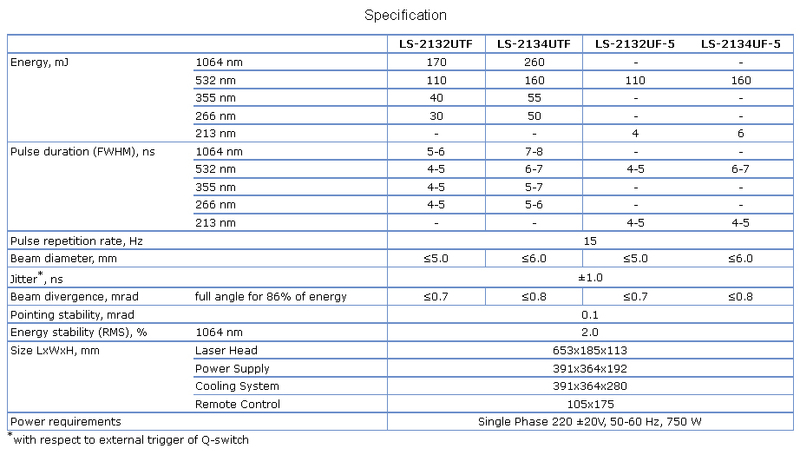 LS-2132UTF and LS-2134UTF are compact short pulse lasers with built-in second, third, and fourth harmonics. The VRM resonator gives excellent harmonic conversion due to increased spatial uniformity of output beam, low divergence and short pulse duration. The lasers LS-2132UTF and LS-2134UTF are an ideal tool for research — ablation, LIDAR, spectroscopy (including LIF, LIBS) — and OEM applications.